The Human Rights Institute of South Africa (HURISA) is a non-profit making non-governmental organisation which provides professional services towards the promotion of a human rights culture, peace and democracy. Our mission is attained through the provision of training and education in human rights, dissemination of human rights information and conducting research and advocacy in South Africa and beyond. HURISA was formed in 1994 as a continuation of the work performed by the then Institute for the Study of Public Violence (ISPV) which was founded in 1993 as the research arm of the Goldstone Commission of Inquiry. 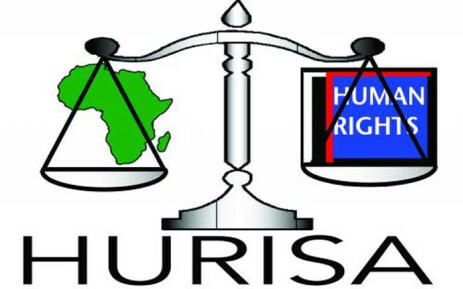 Since its inception, HURISA works with civil society organisations, government departments and special target groups in South Africa and on the continent in the promotion and protection of human rights in South Africa and around Africa. HURISA envisages a society in which all people are aware of their human rights, how their human rights can be realized and how redress mechanisms can be accessed. The Human Rights Institute of South Africa (HURISA) is an NGO which offers professional services towards the promotion of a human rights culture, peace and democracy. The team of HURISA is committed to providing training in human rights; to disseminating human rights information; and to conducting research and advocacy.